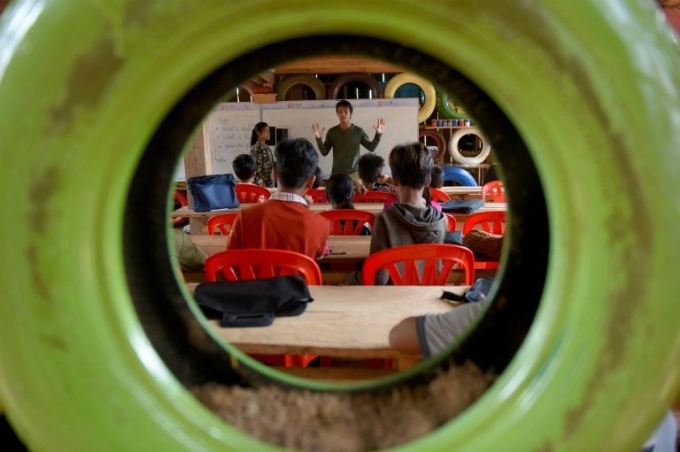 A school in Cambodia is mostly built out of recycled waste, and collects trash as tuition fee. Sitting in a building made from used tyres, plastic bottles and old sneakers, Cambodian student Roeun Bunthon jots down notes during an English lesson at the "Rubbish School" where tuition is paid for with trash instead of cash. In return, needy kids like Bunthon, a former street beggar, can take computer, mathematics and language classes - and learn the value of reducing waste in a notoriously polluted country where recycling is nearly non-existent. "I've stopped begging... it's like I have another chance," said Bunthon, who paid for his enrollment with a bag of discarded bottle caps. Located in a lush national park, the Coconut School is built almost entirely from recycled waste and is the brainchild of Ouk Vanday, nicknamed the Rubbish Man, a former hotel manager who dreams of a trash-free Cambodia. 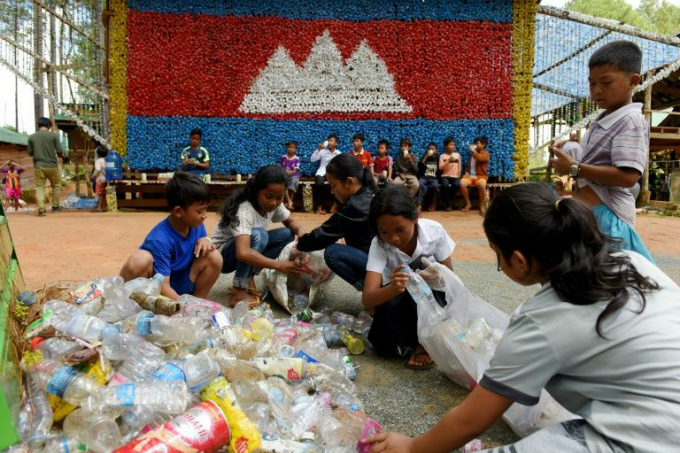 "I use rubbish to educate children by turning garbage into classrooms... so the children will understand the value of using rubbish in a useful way," the 34-year-old said at the school, which opened a year and a half ago about 115 kilometers (70 miles) west of Phnom Penh. 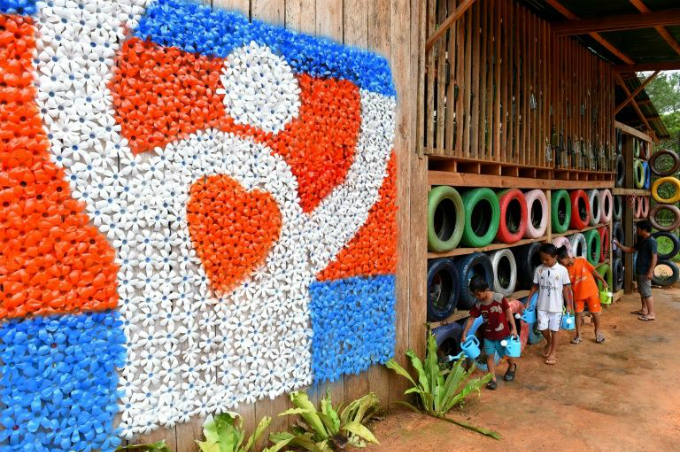 The Coconut School in Cambodia is built almost entirely from waste and features walls made of painted used car tyres. Cambodia accumulated 3.6 million tons of waste last year, according to the country's Ministry of Environment.